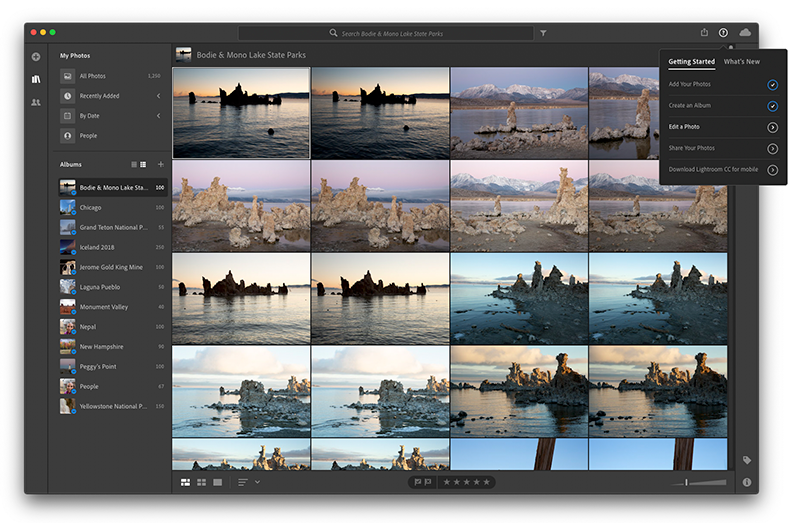 The last major update to Lightroom CC was back in October 2017 (v 3.0). This latest update (v 4.0) includes several new features that customers have requested over the last 12 months. 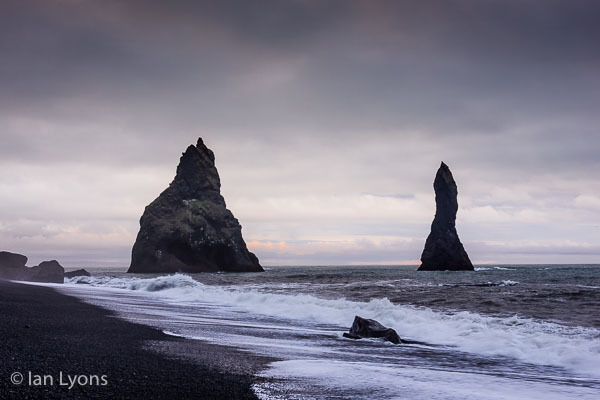 So, what’s new in Lightroom CC | October 2018? 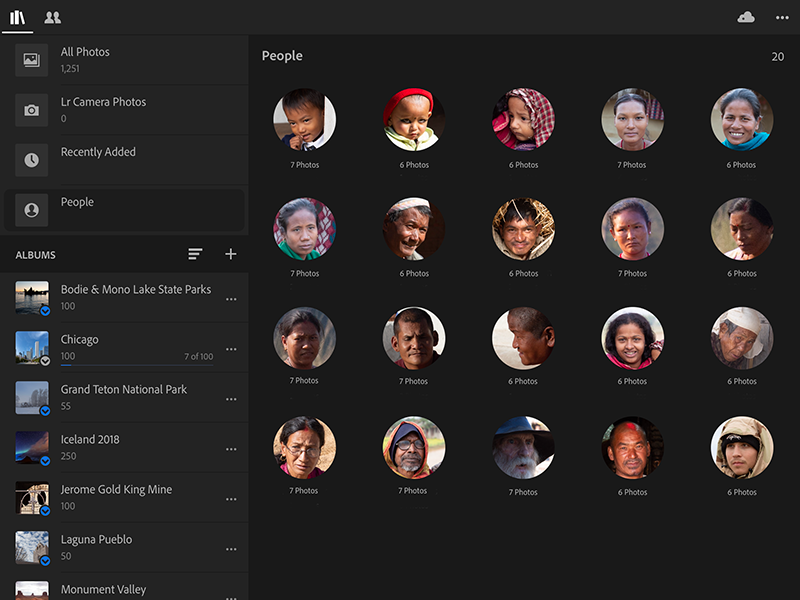 People View allows you to quickly find and name people in your photos. It’s powered by Adobe Sensei. 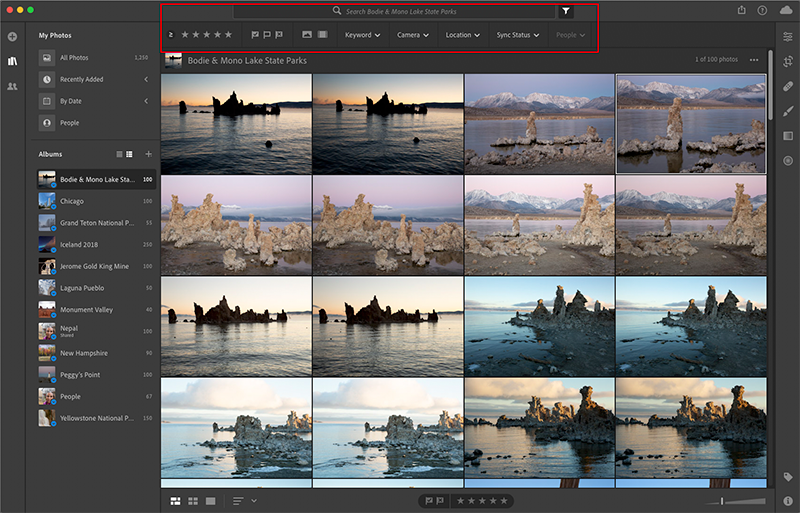 Using this machine learning technology from Adobe Lightroom CC automatically tags people in photos and provides you with an easy way to see all the photos the person appears in. 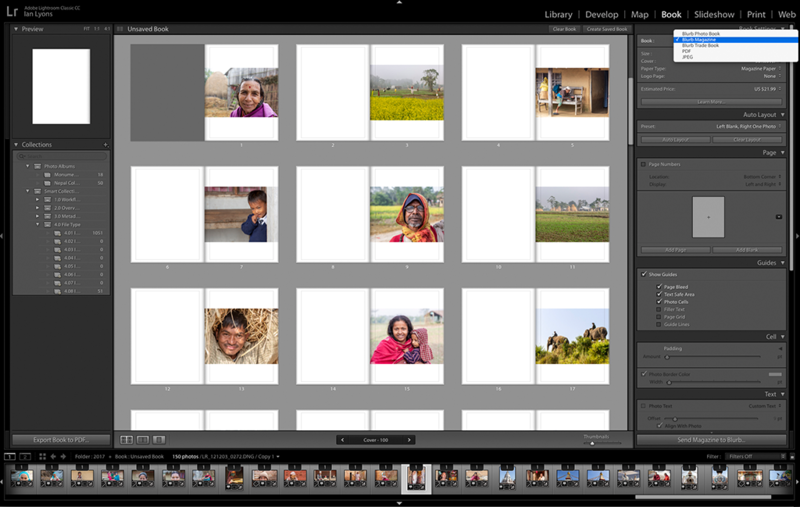 Searching has always been one of the stronger features in Lightroom CC. This is mainly due to the advanced server side technology (Adobe Sensei). 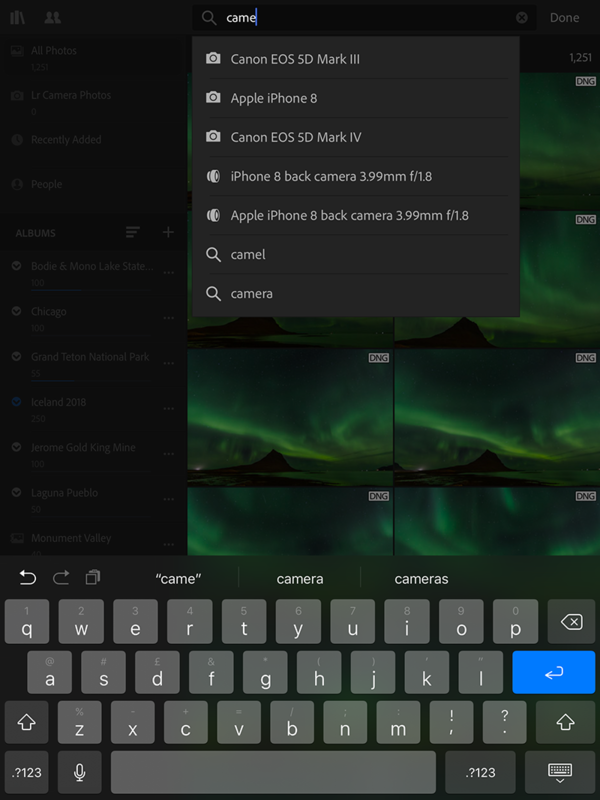 Search suggestions are presented as you as soon as you start typing in the Search bar, recommending things like cameras, lenses, shutter speeds, apertures, ISOs, keywords, locations, and more. 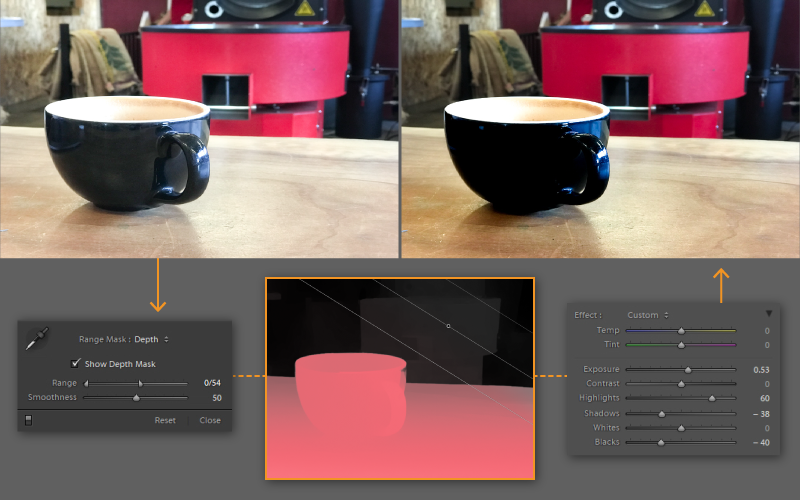 The Filter UI in Lightroom CC for the Desktop has also received some attention. Sharing photos has some useful improvements. For example, you can now choose to only share images that are flagged or have a particular star rating while also providing control over the display theme and appearance. New guided tutorials for First-Time Adjustments and Healing Brush have been added to iOS and the Android versions now has tutorials for First-Time Adjustments, Target Adjustment Tool, and Guided Upright. 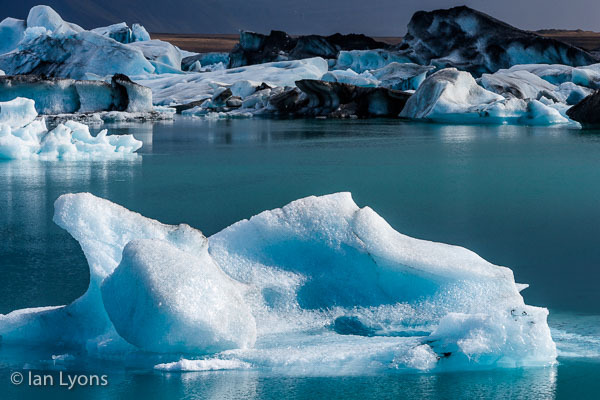 The new guided tutorials can be found under Help & Support in Lightroom CC for mobile. 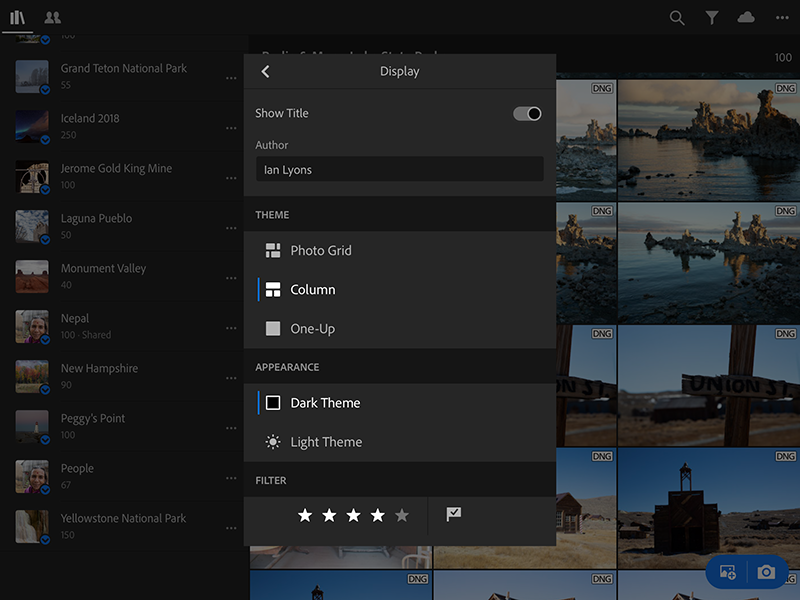 If you’re not sure what guided tutorials are or don’t use Lightroom CC on a mobile device, then below screenshot shows how they can be accessed in Lightroom CC (Desktop). 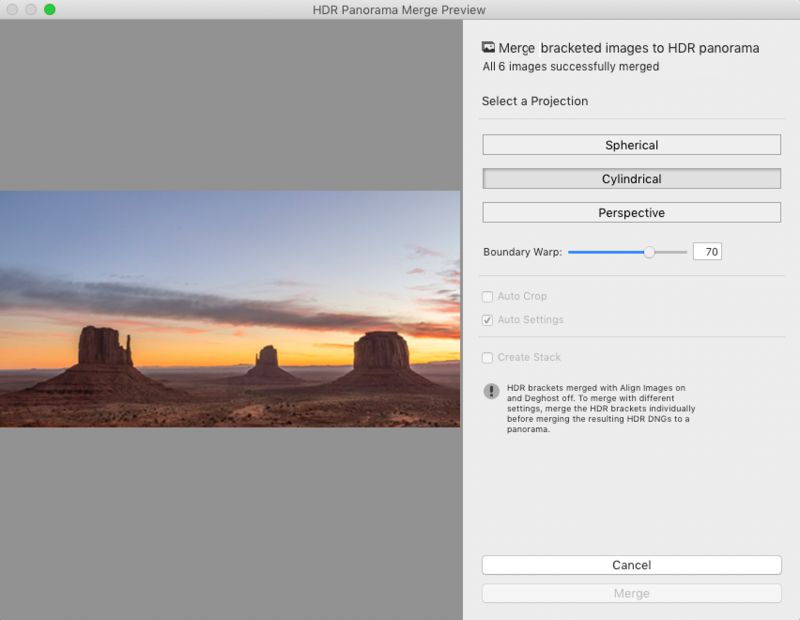 Lightroom CC now supports Apple’s HEVC video format (High Efficiency Video Coding, also known as H.265) on macOS High Sierra (10.13) or later. For more information, see HEVC video files support. 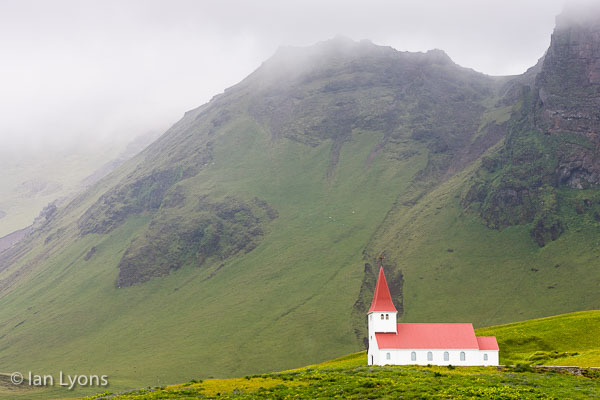 This will be my third trip to Iceland, and if anything like the previous trips there will be plenty of photos to be had. 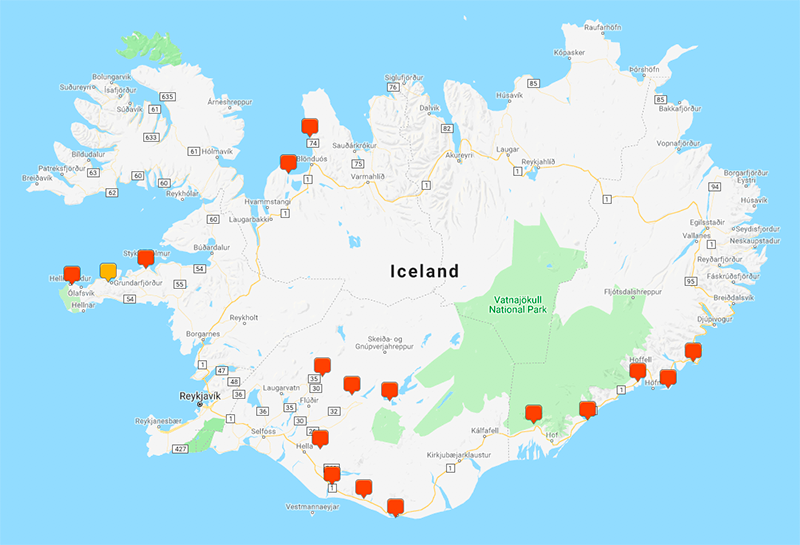 I’ve included some from the previous trips below as tasters. The new features most likely to attract customer attention are in the Book module. They include the ability to customise pages plus two new book types (i.e. Blurb Magazine and Trade Books). There is also for importing Presets and Profiles, and HEIC support in Windows. The new book styles can be accessed from the the Book Settings panel as top right corner of Book module. 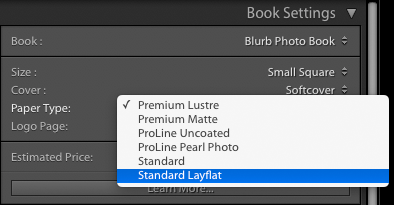 By popular request, Adobe have also added Blurb’s Layflat paper. In the ‘Paper Type’ drop-down list, you can choose from Premium Lustre, Premium Matte, ProLine Uncoated, ProLine Pearl Photo, Standard, and the newly introduced Standard Layflat. When using Standard Layflat, the minimum page count is 33 due to the binding requirements. The minimum page count for all other paper types is 20. Select where page numbers are printed on a book, including on only left or right pages, or all pages. Customise cells within a page. Add multiple cells on a page, move specific cells to the front or back and drag the cell exactly where you want it. Navigate to the Develop module. 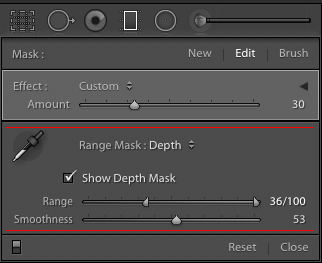 From the menu bar, choose File > Import Develop Profiles and Presets. 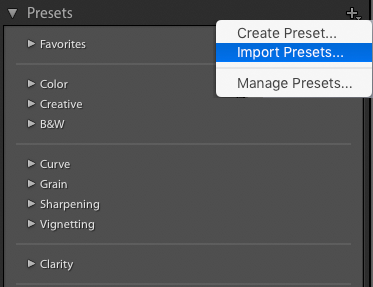 In the Presets panel, click the plus (+) icon at the upper-right corner and choose Import Presets from the menu. In the Basic panel, click the ( ) Show Profile Browser icon in the Profile area. 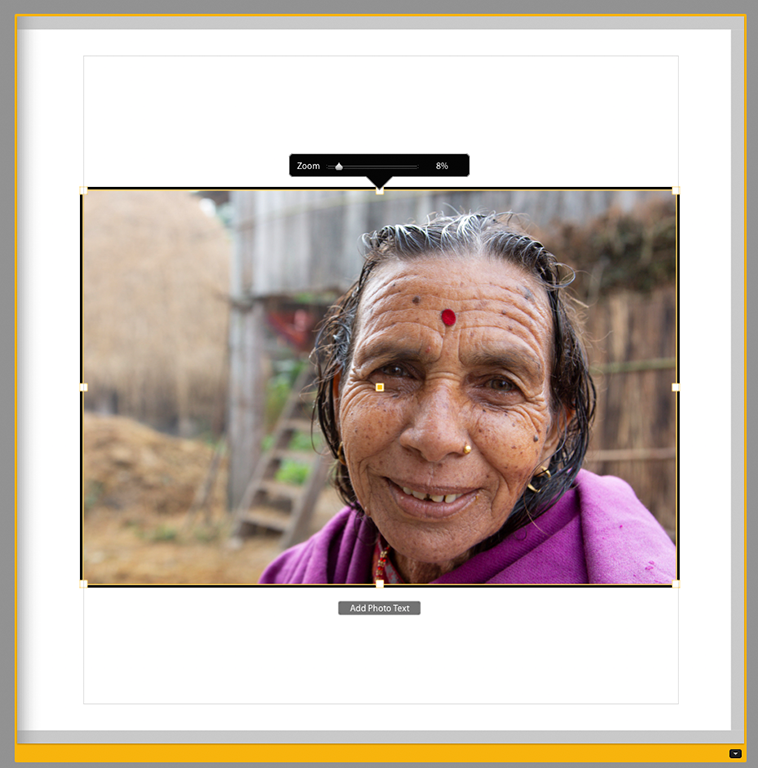 In Profile Browser, click the plus (+) icon at the upper-left corner and choose Import Profiles from the menu. More details of this release along with upcoming releases for mobile devices can be read here.